Be warned if you’re planning on displaying any Carolina Hurricanes gear in McLean: your new neighbor Evgeny Kuznetsov might take exception. Kuznetsov, a Russian-born 26-year-old center for the Washington Capitals, and his wife Anastasia purchased two adjacent properties in McLean along Spring Hill Road, according to the Washington Business Journal. The properties cost a combined $5.95 million and the sale closed on March 26. 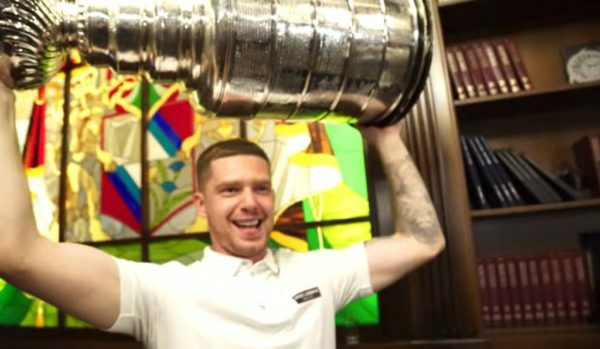 Kuznetsov signed a $62.4 million contract with the Caps in 2017, making him one of the few millennials able to afford a house in wealthy McLean on their own. If Kuznetsov is looking to grab a post-work drink with some colleagues, Sakura Japanese Steak and Seafood House in Tysons seems to be a favorite of one of his teammates.